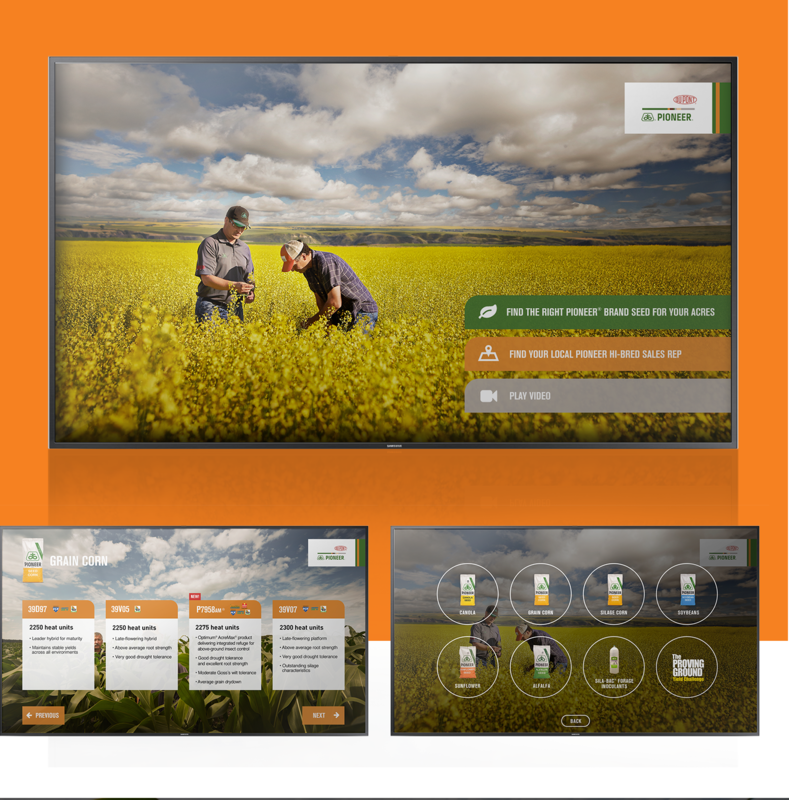 Phosphorus Media worked with Ogilvy & Mather and DuPont Pioneer to create an interactive product guide that attracted and educated potential customers. 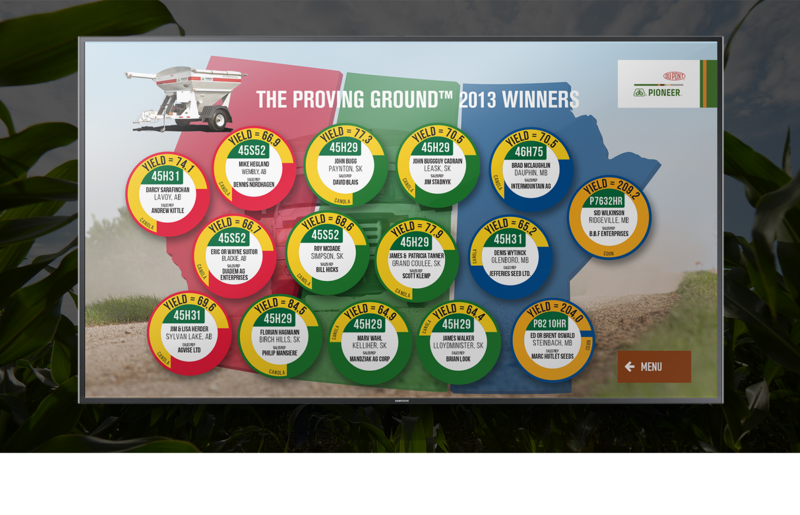 The interactive kiosk served as a sales tool for product reps. 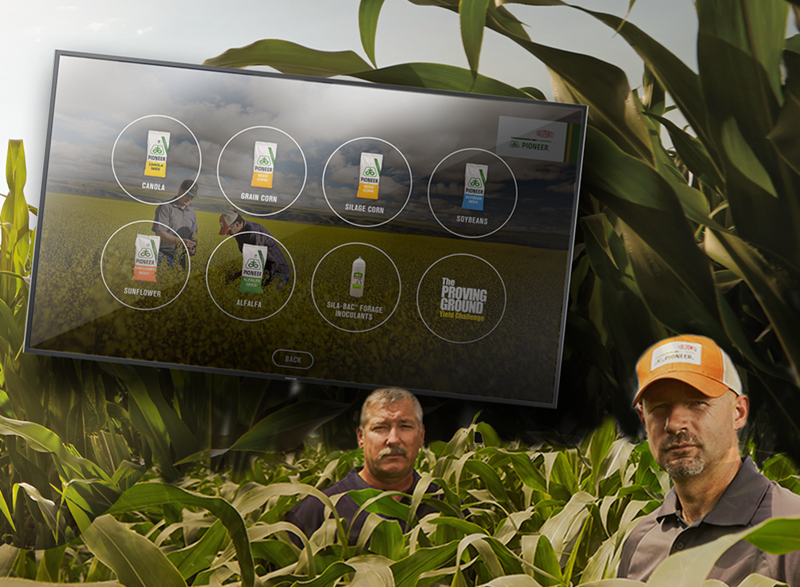 It allowed multiple people to learn about products, yield data and Pioneer initiatives.The screen provided a visual wow factor that conveyed information in a non-linear way.